This is an introduction to the Silver Britannia. 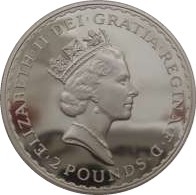 For our main knowledgebase, listing each year with images, mintages and other information, please see see Silver Britannia. 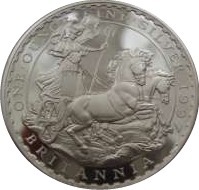 Silver Britannia’s are bullion coins minted in the UK by the Royal Mint and are the British silver bullion equivalent to the American Silver Eagle dollar or the Canadian Maple Leaf dollar. Know by this name as an image of Britannia is always on the reverse, the coin has been minted in silver since 1997. The image of Britannia is changed every year, although odd years see Britannia standing and even years see her sitting. Britannia, together with a combination of trident, Union Jack shield and lion are all symbols of Great Britain, devised many centuries ago to signify that Britain ruled the waves (as it did indeed in those days with the most powerful navy in the world). 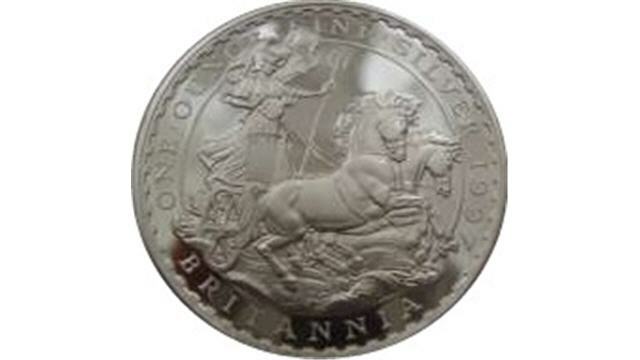 Britannia has been used on several other British coins. Year Reverse Design Also in Proof? Mintages have varied over the year and have increased substantially in recent years as this coin has become an important and popular silver bullion investment coin. Also see our knowledgebase for Silver Britannia listed by year. 2004 Royal Mint Britannia 1oz UNC Silver Coin Encapsulated.